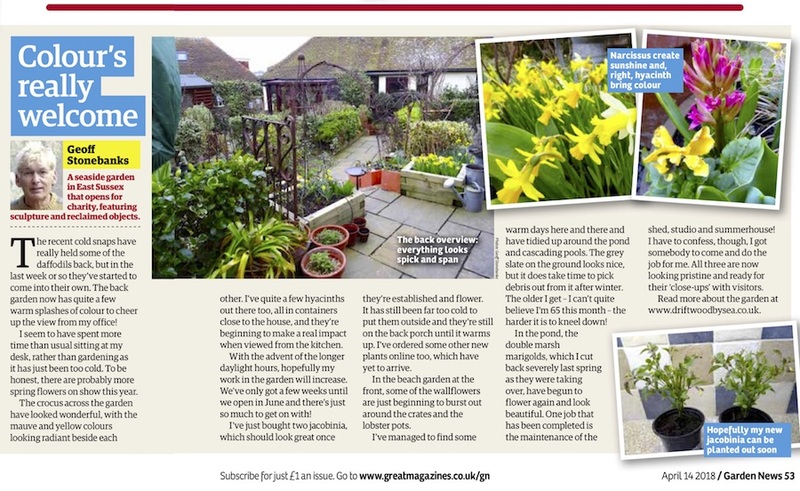 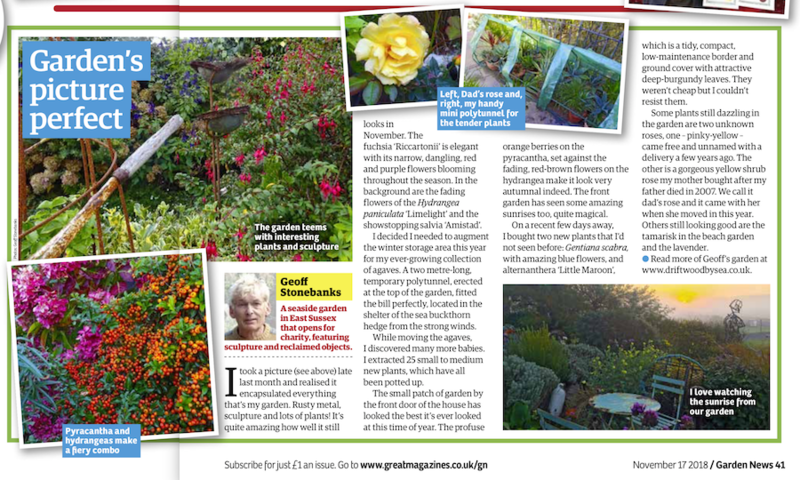 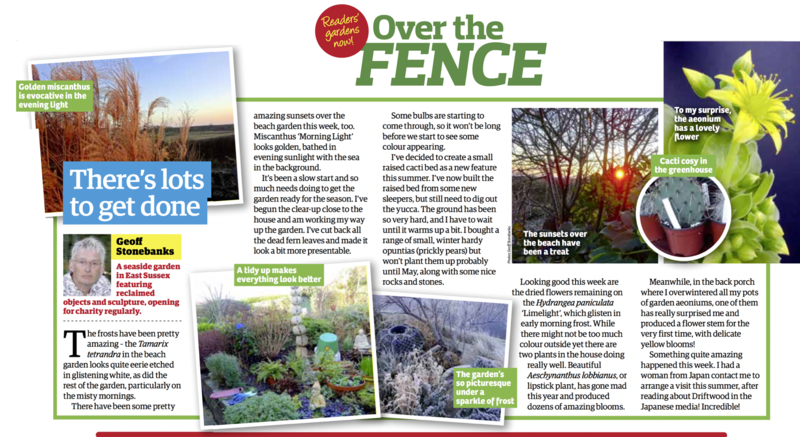 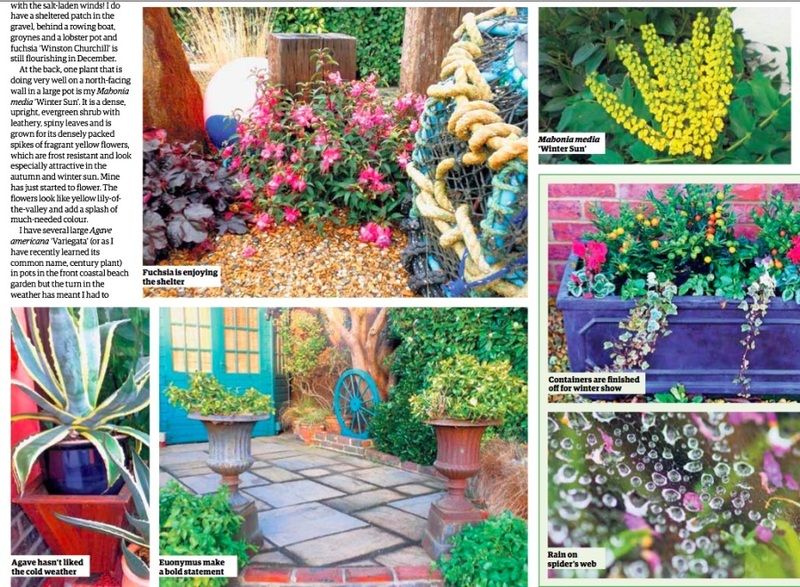 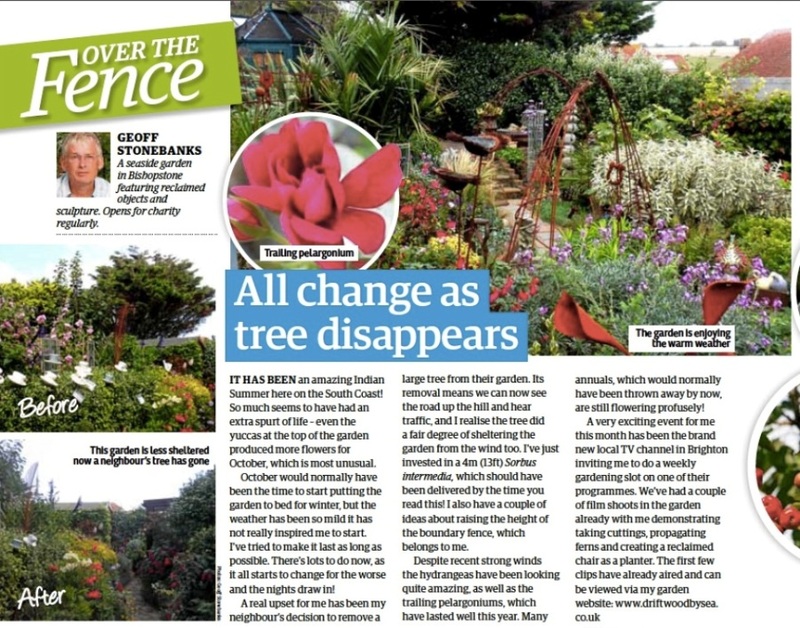 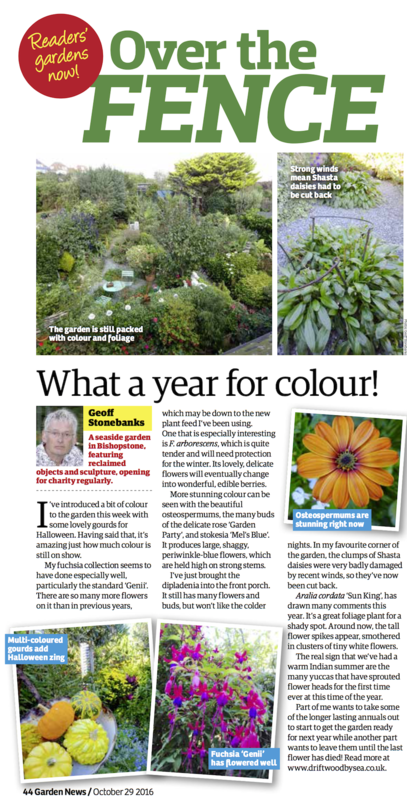 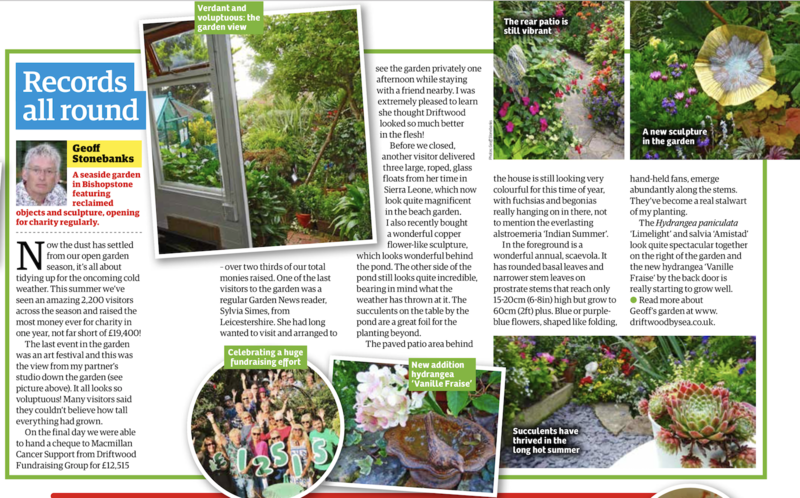 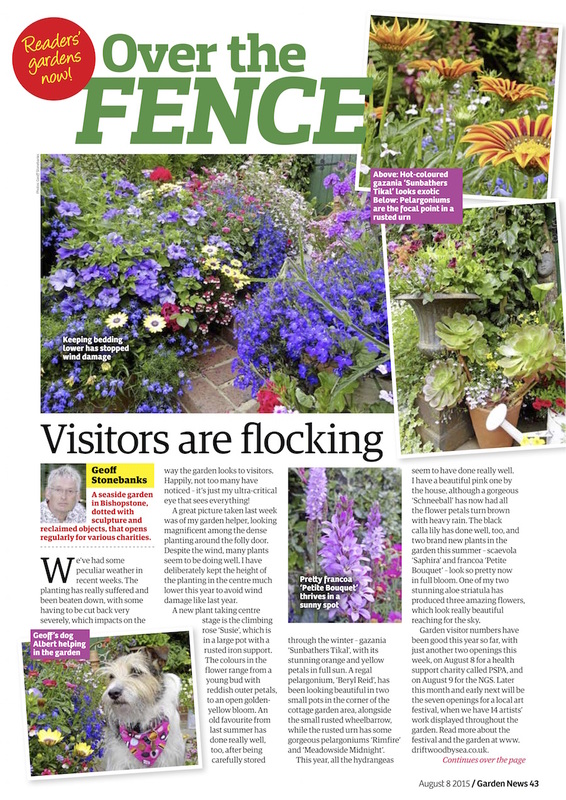 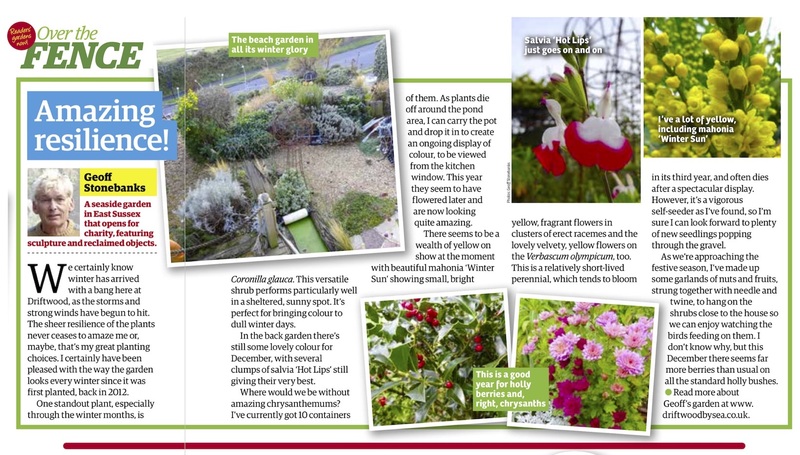 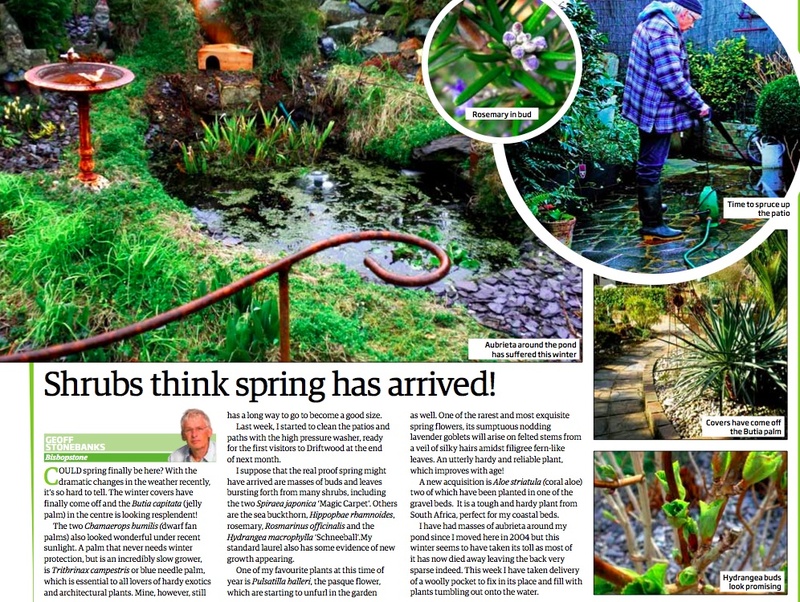 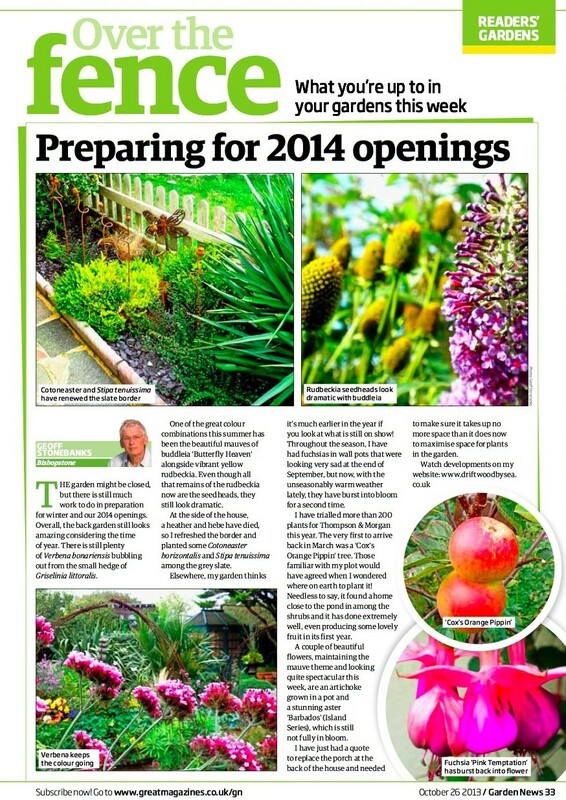 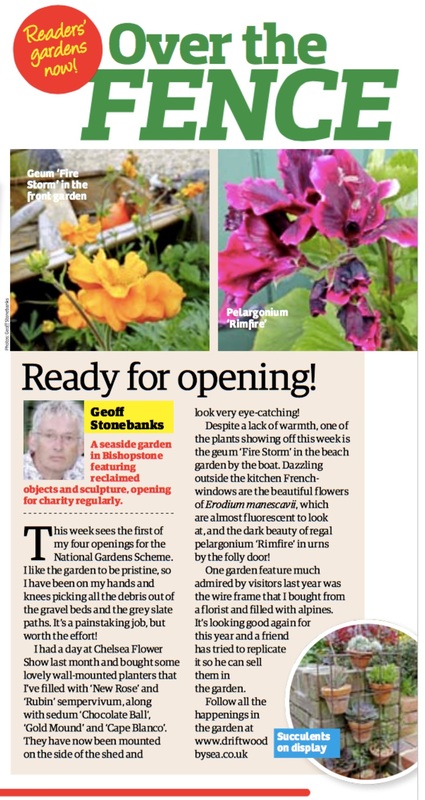 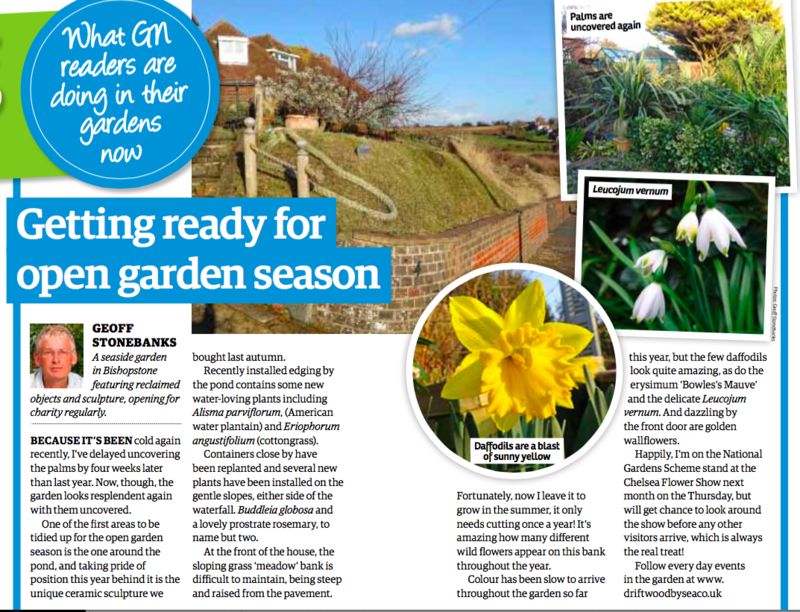 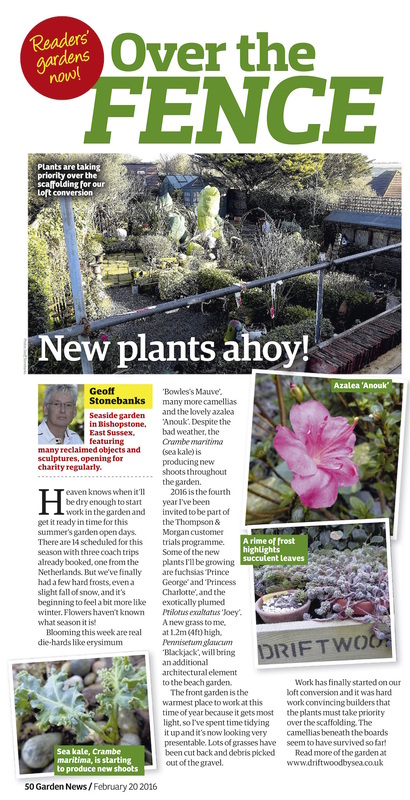 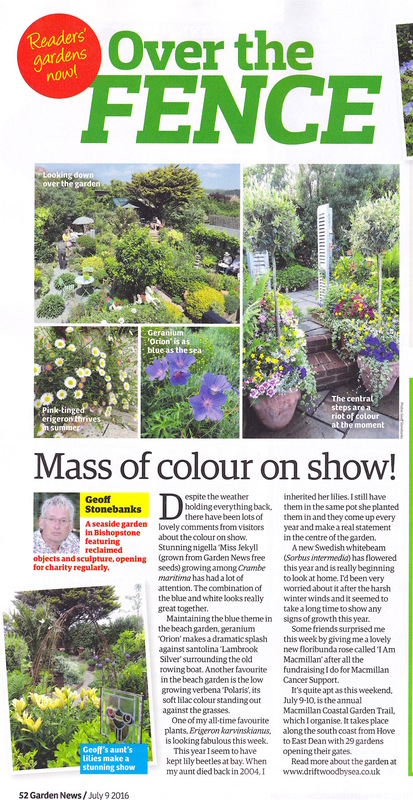 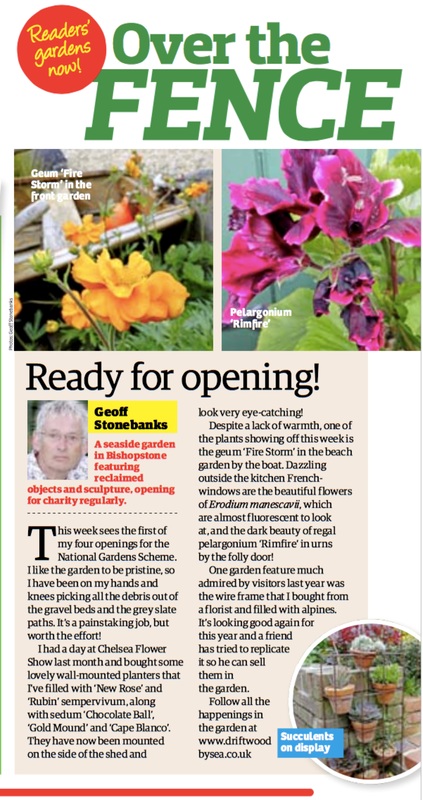 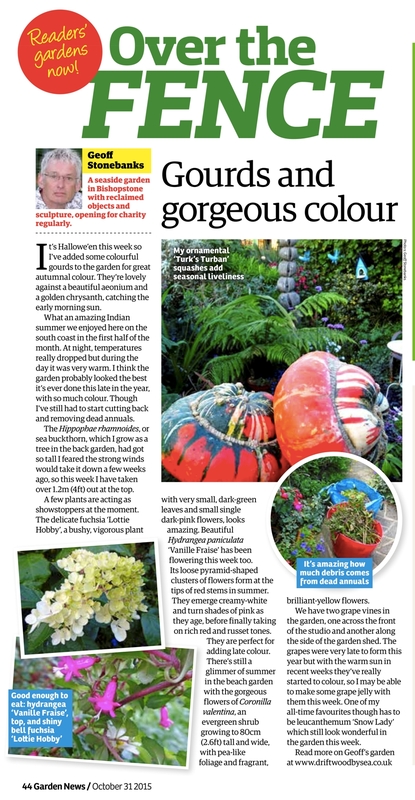 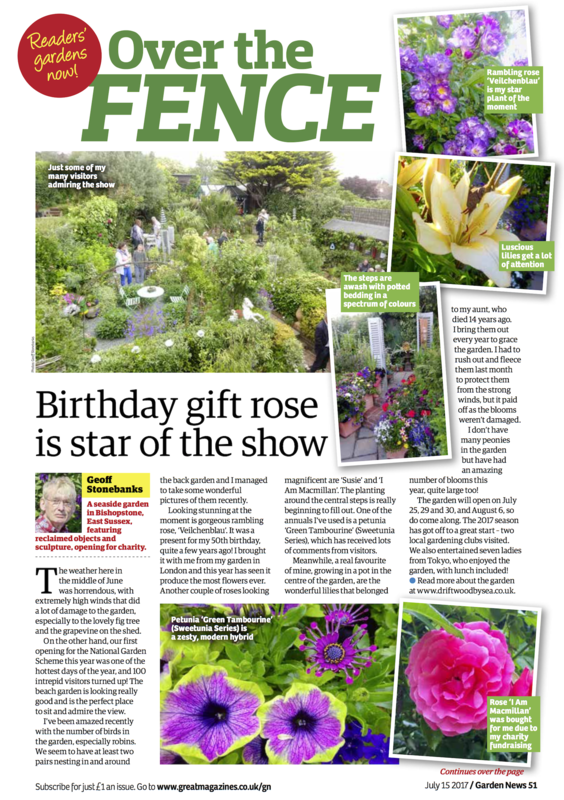 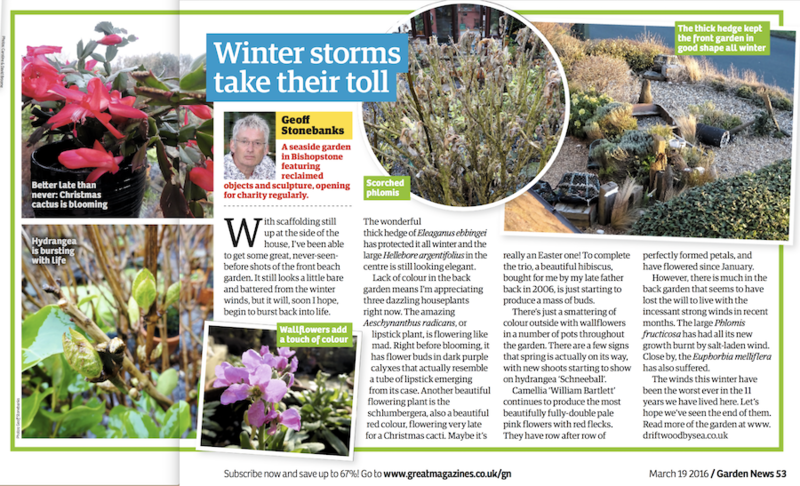 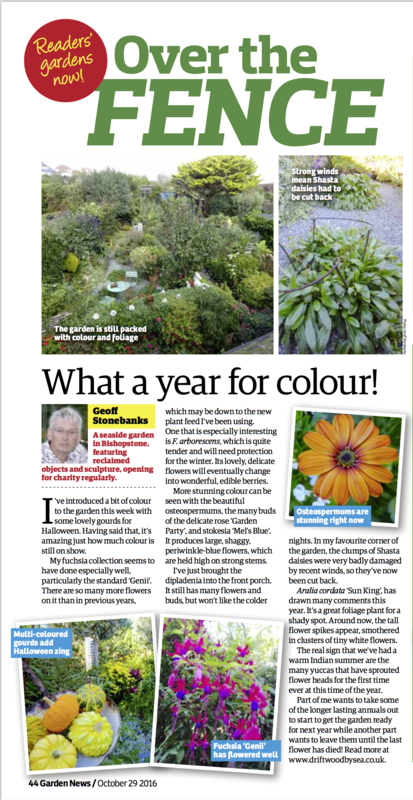 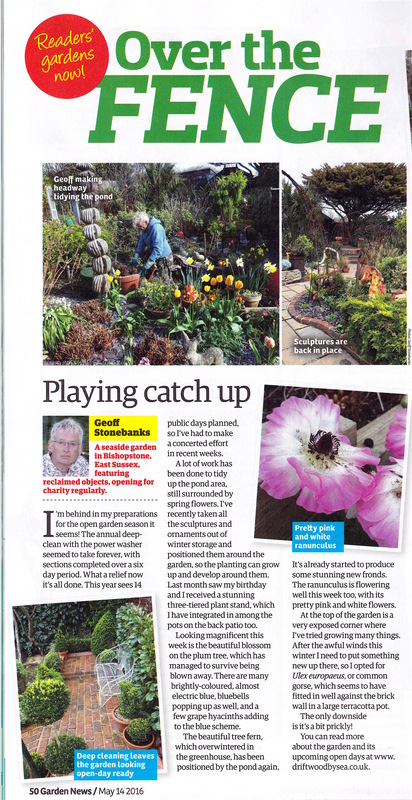 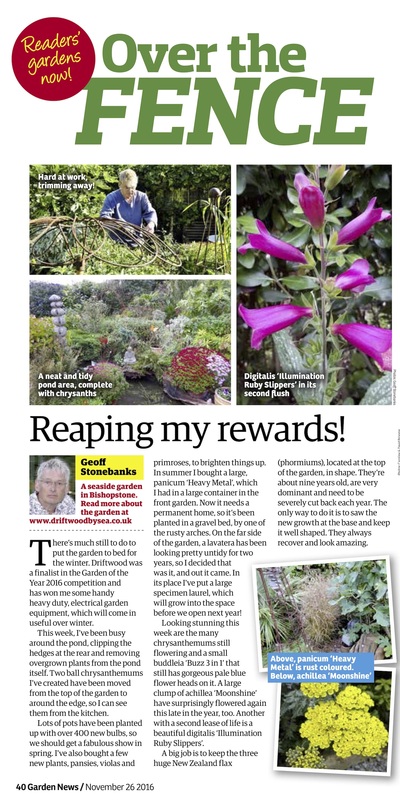 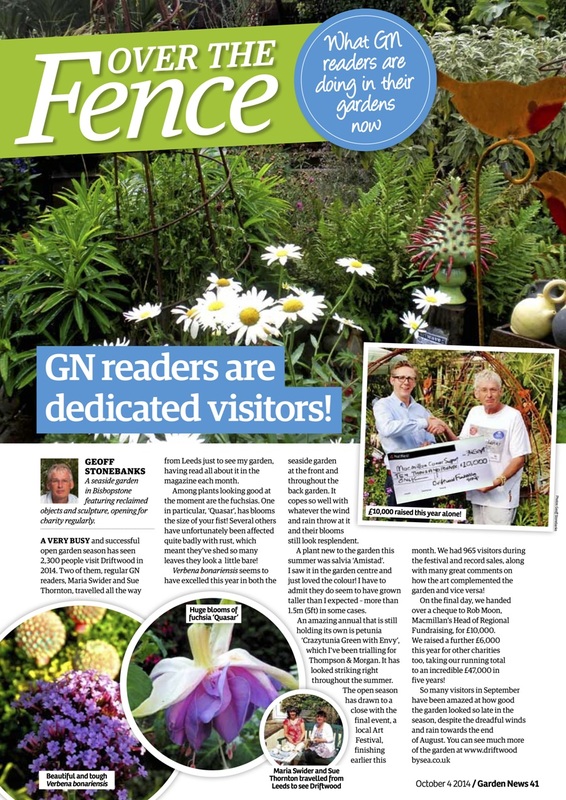 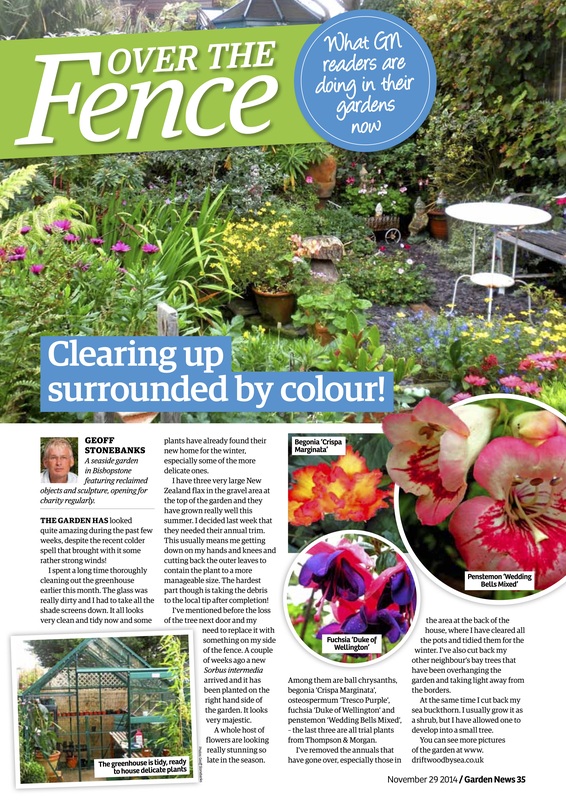 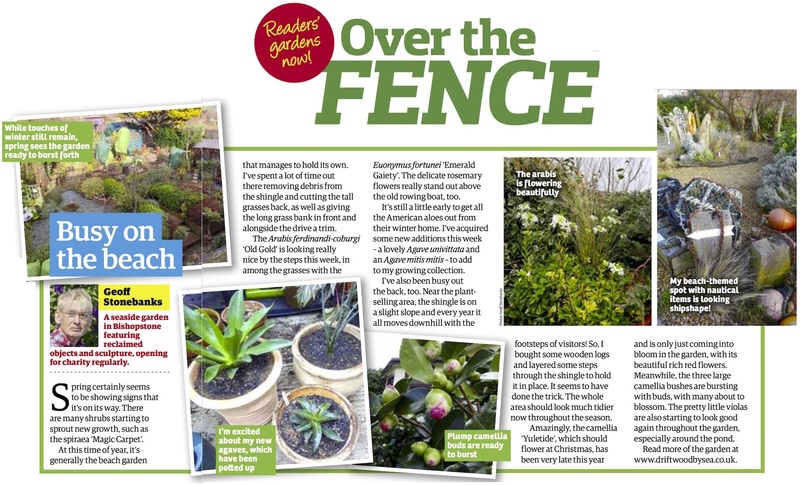 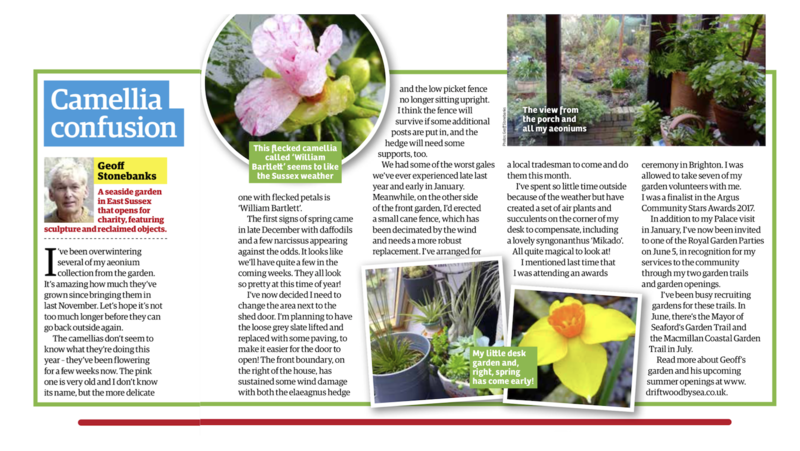 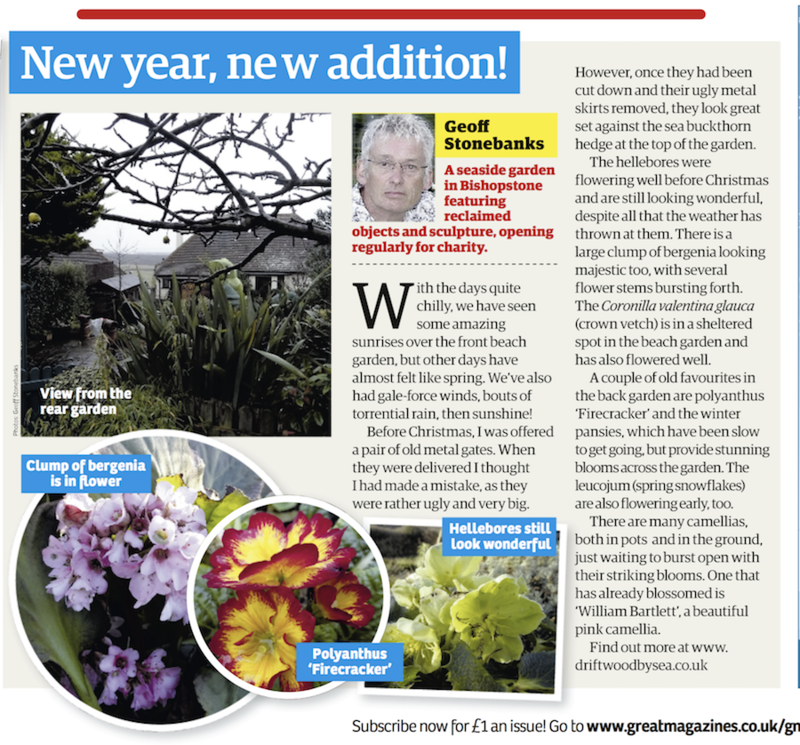 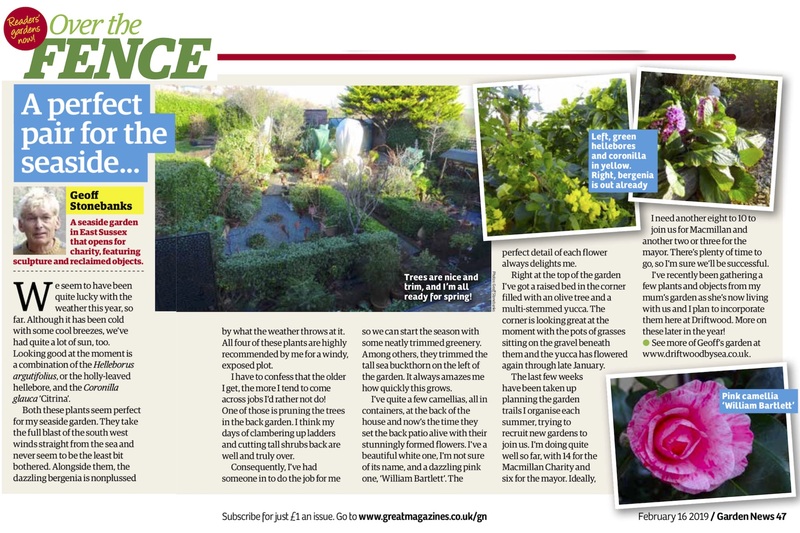 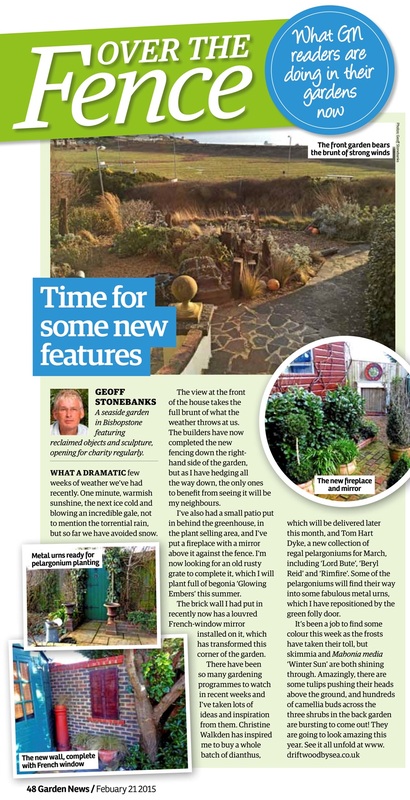 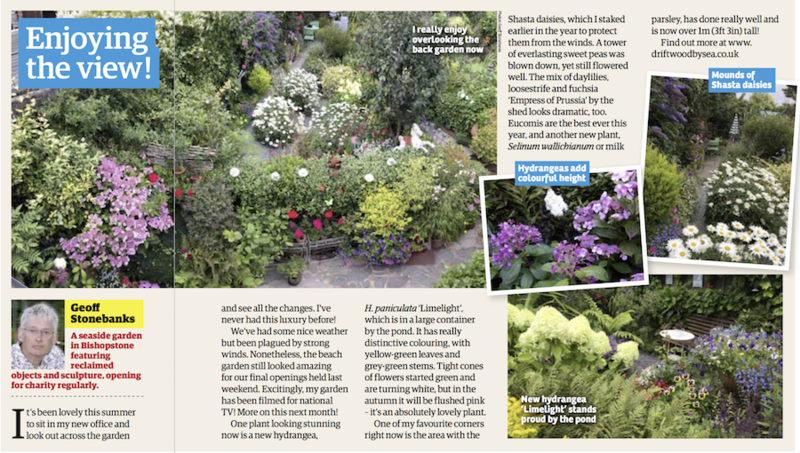 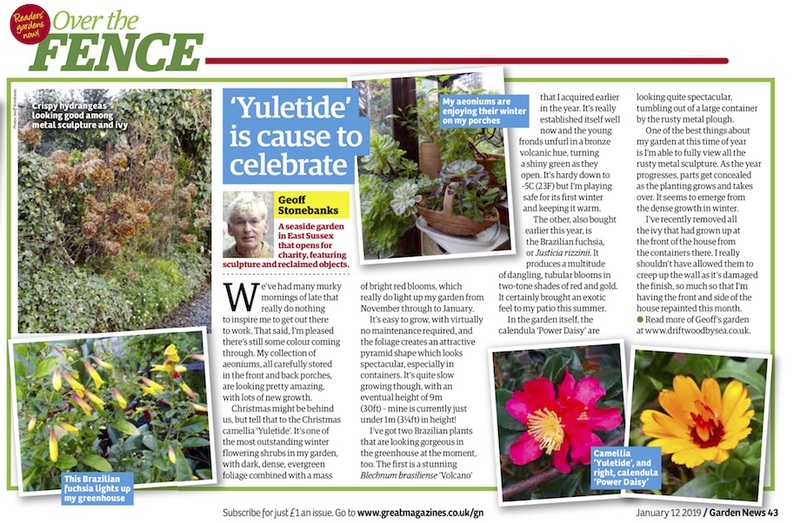 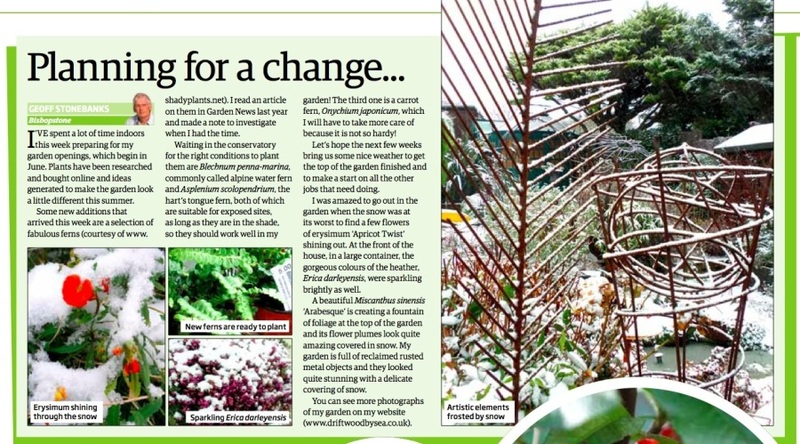 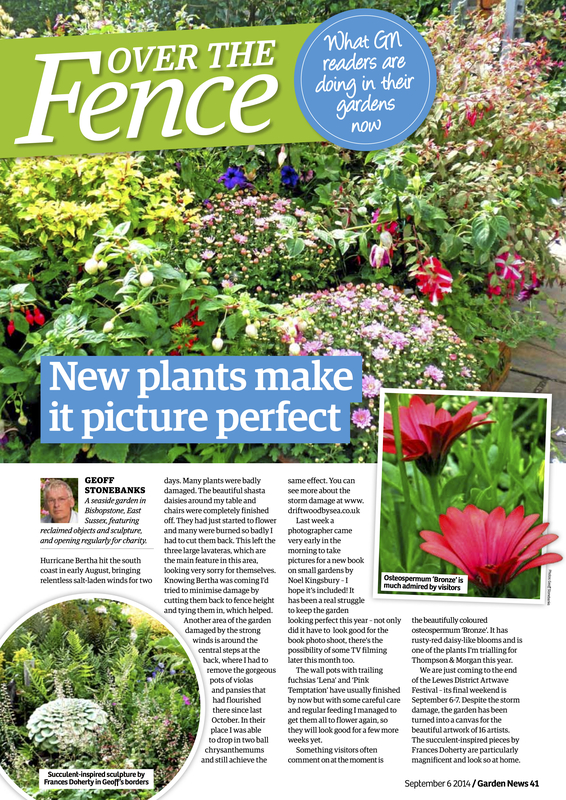 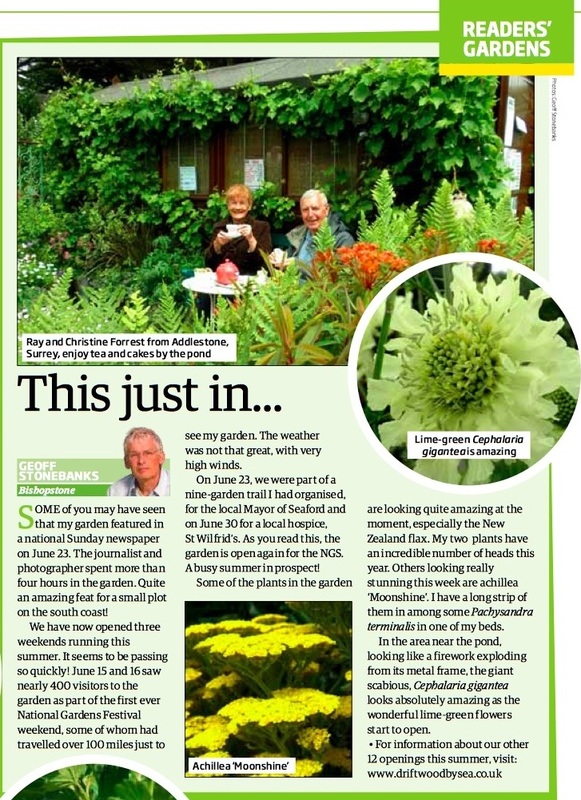 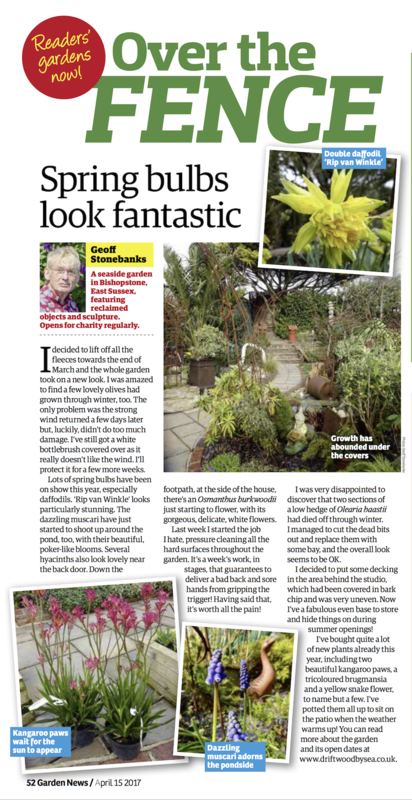 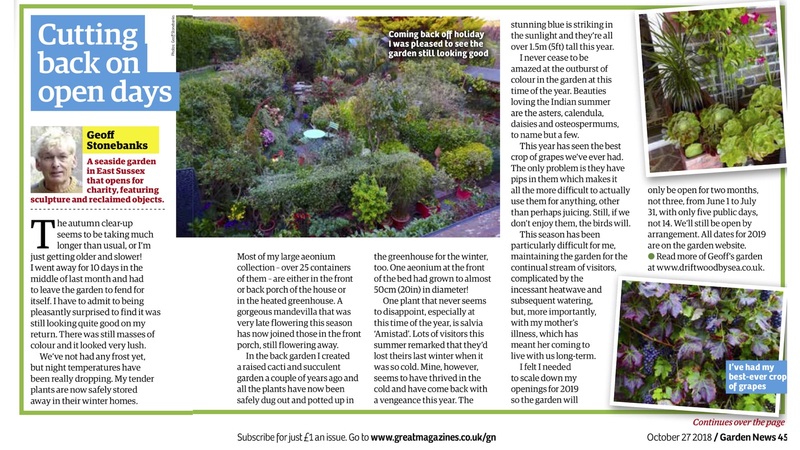 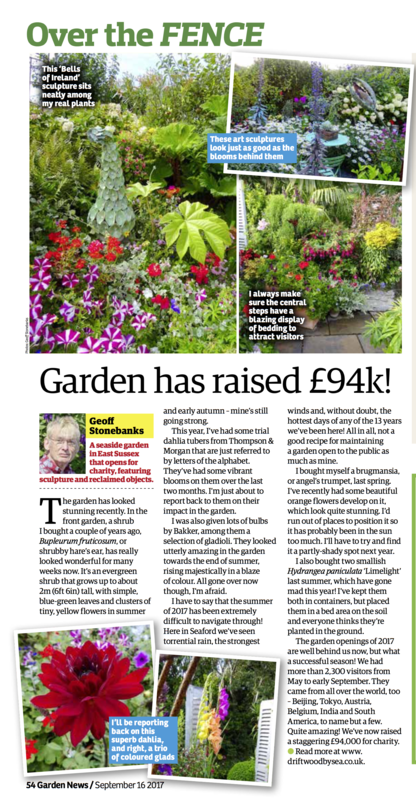 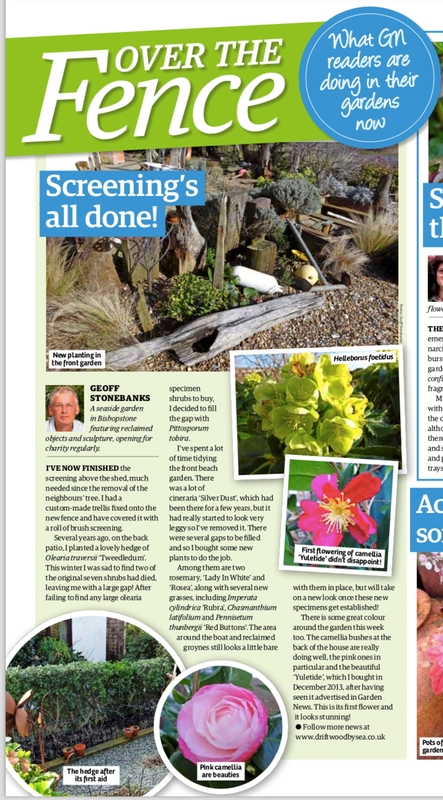 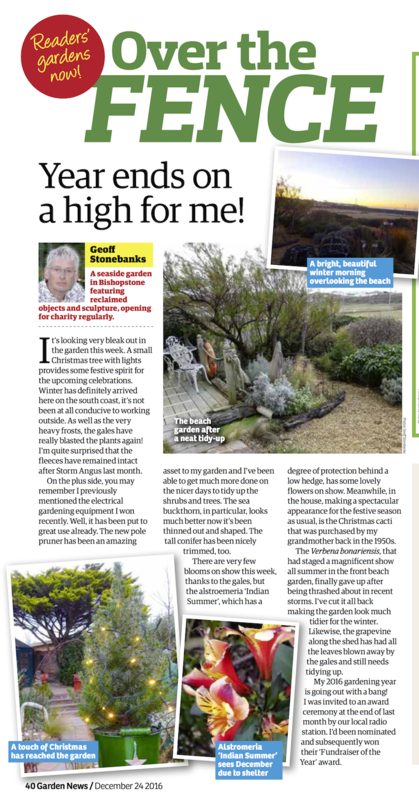 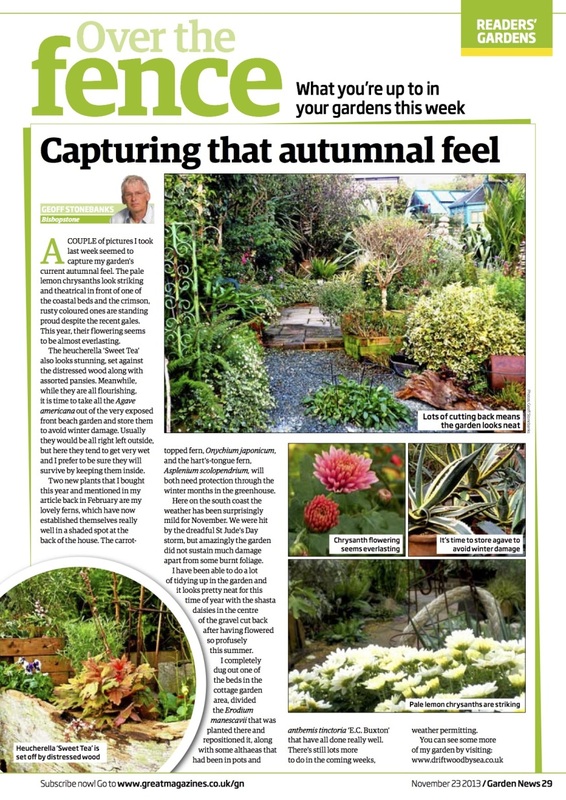 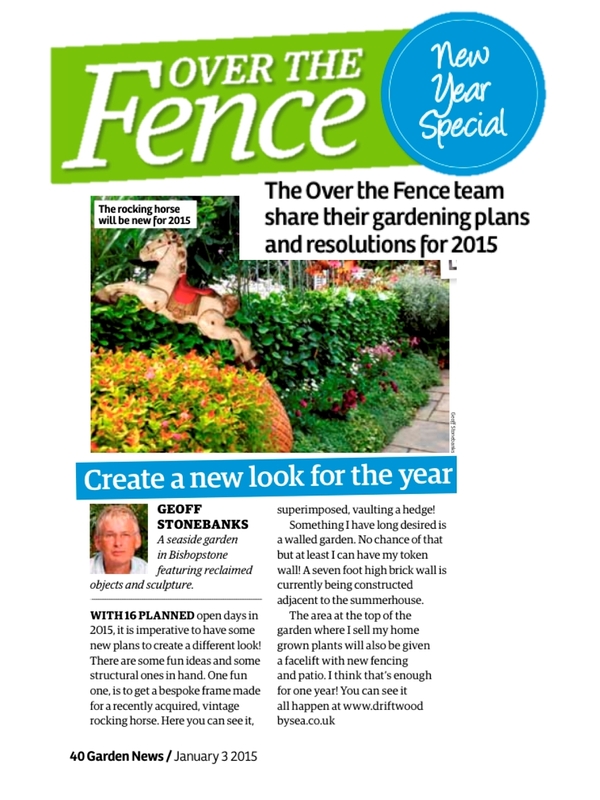 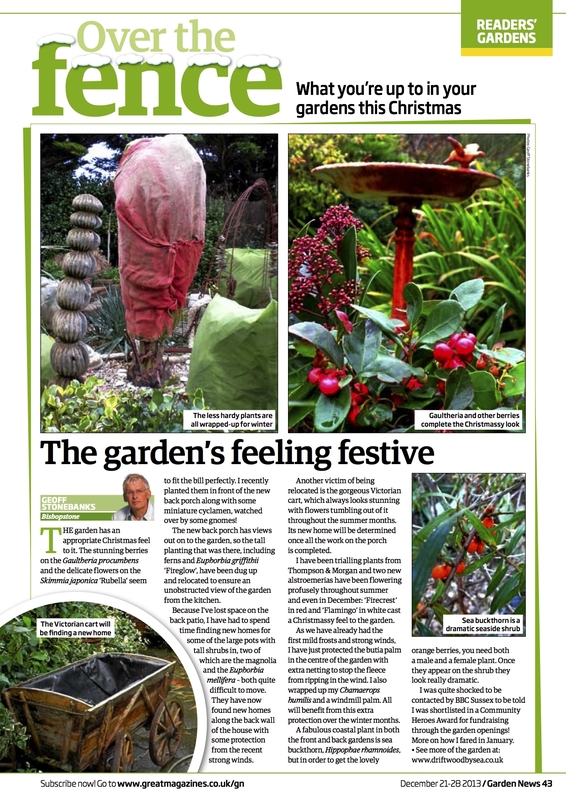 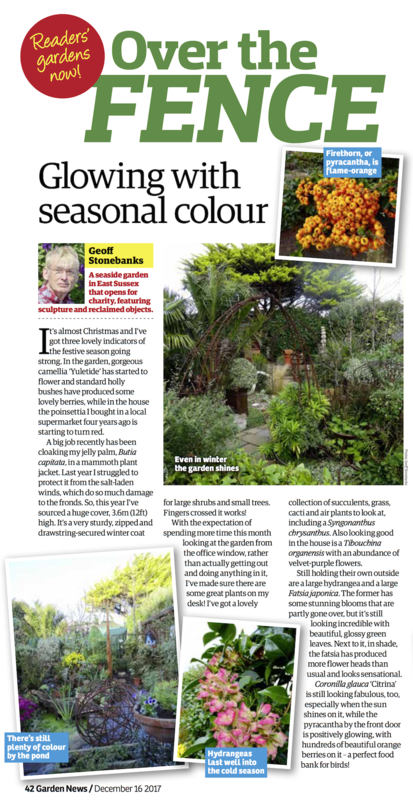 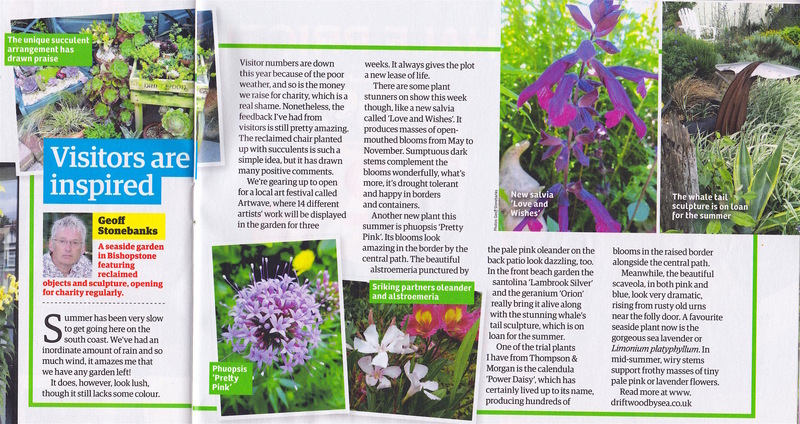 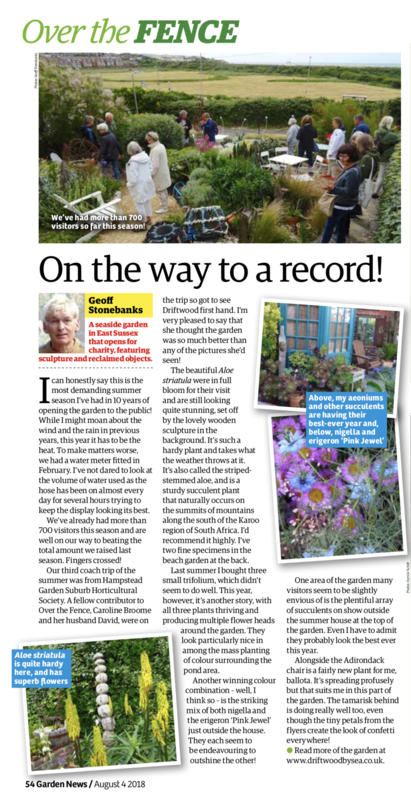 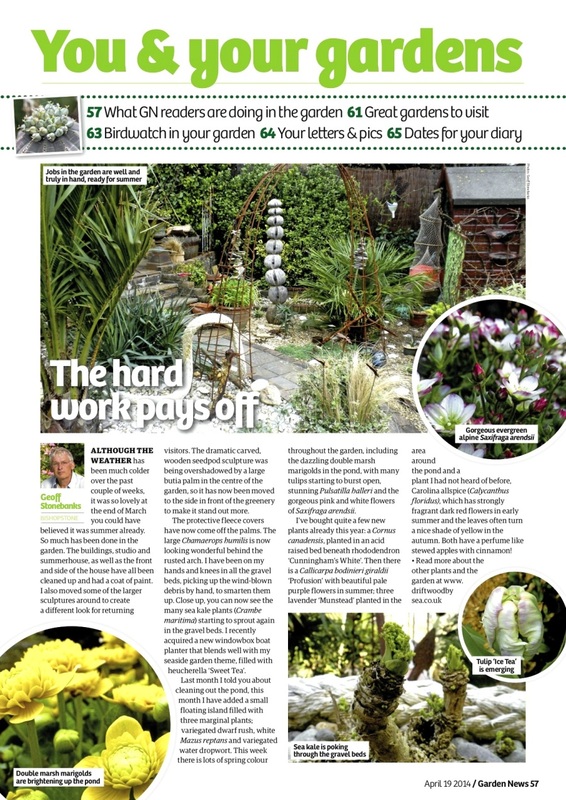 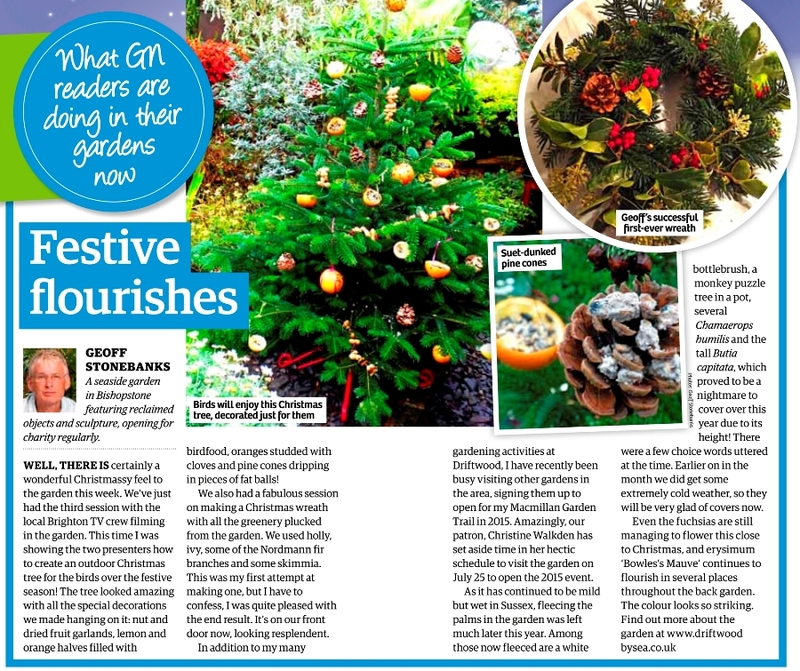 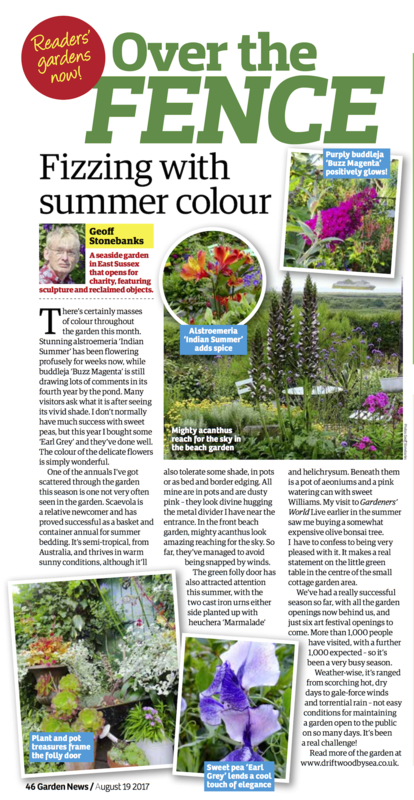 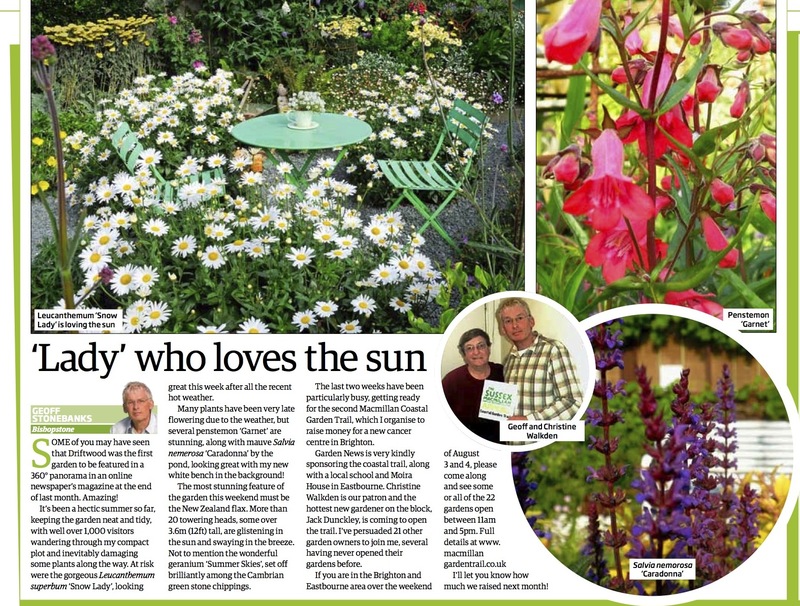 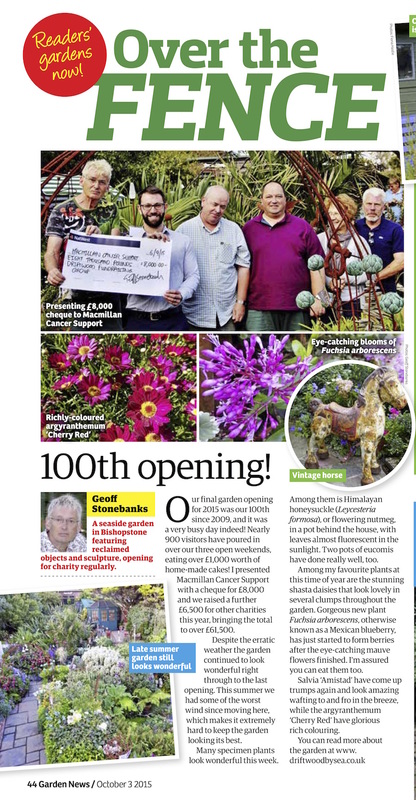 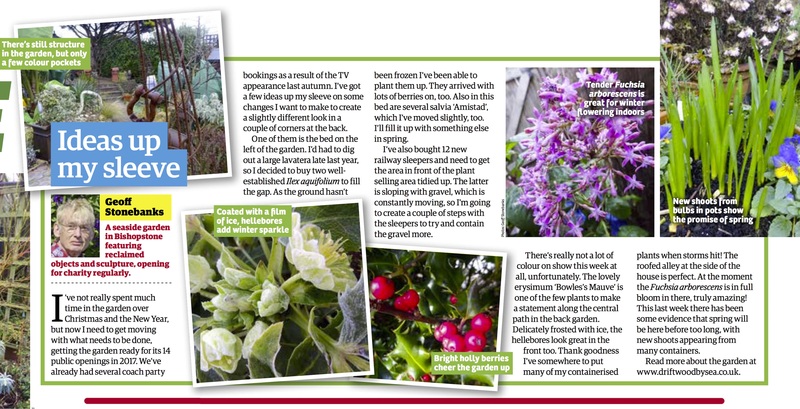 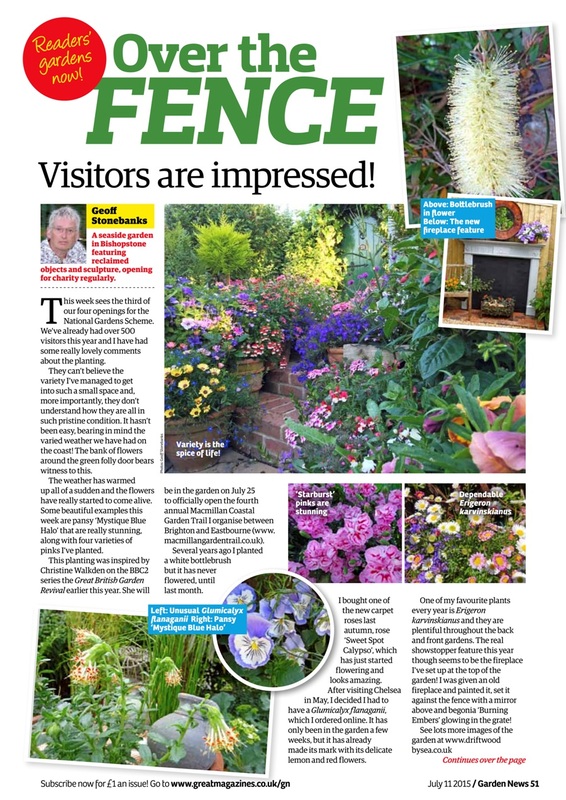 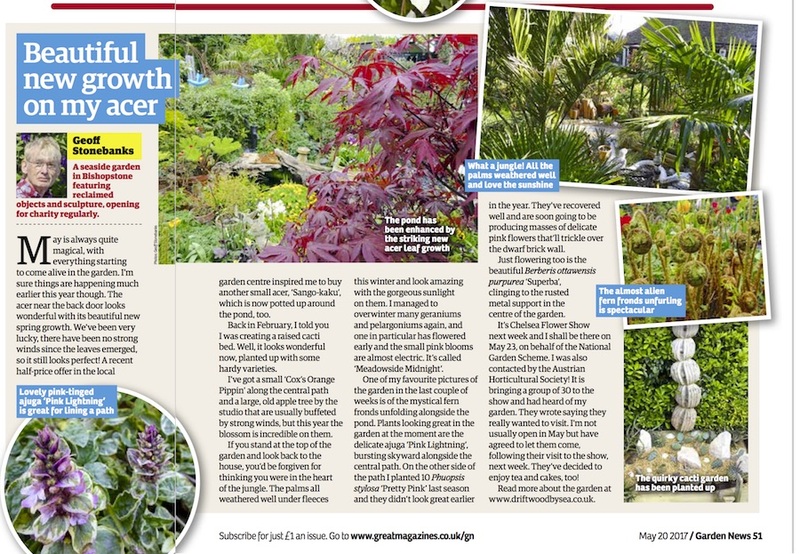 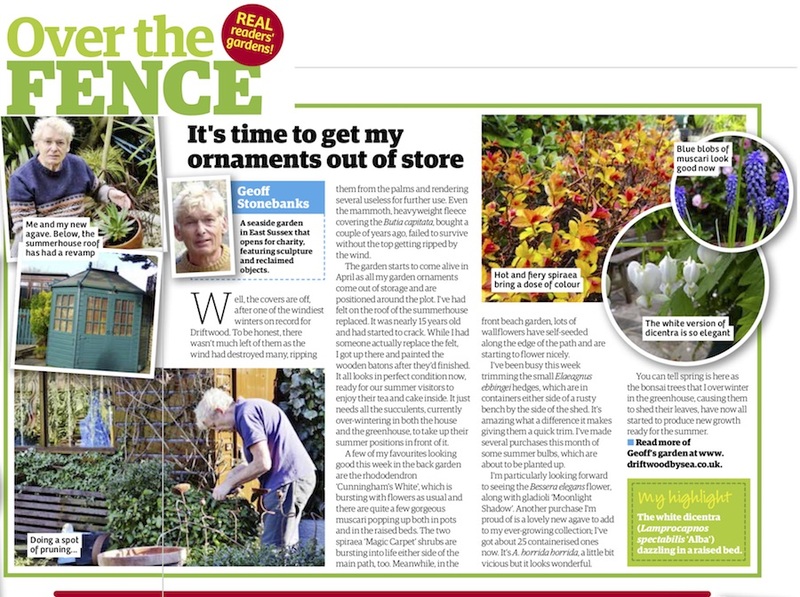 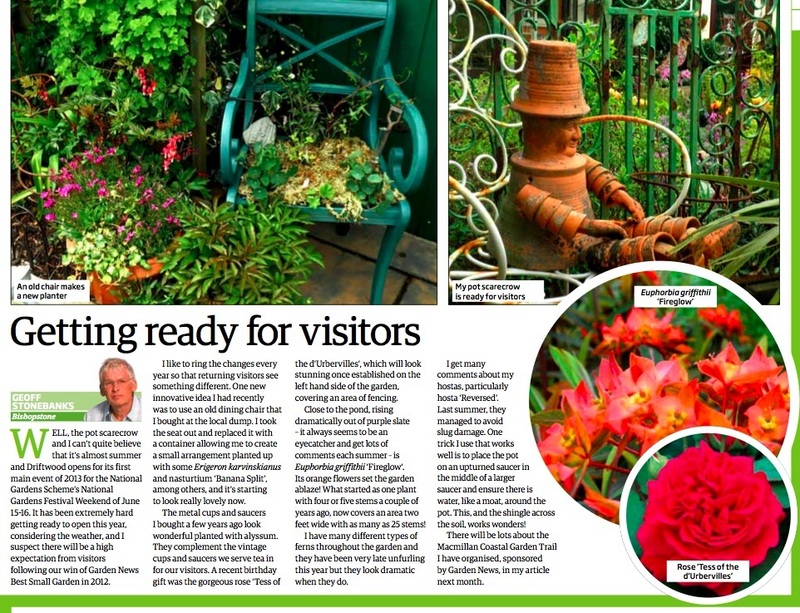 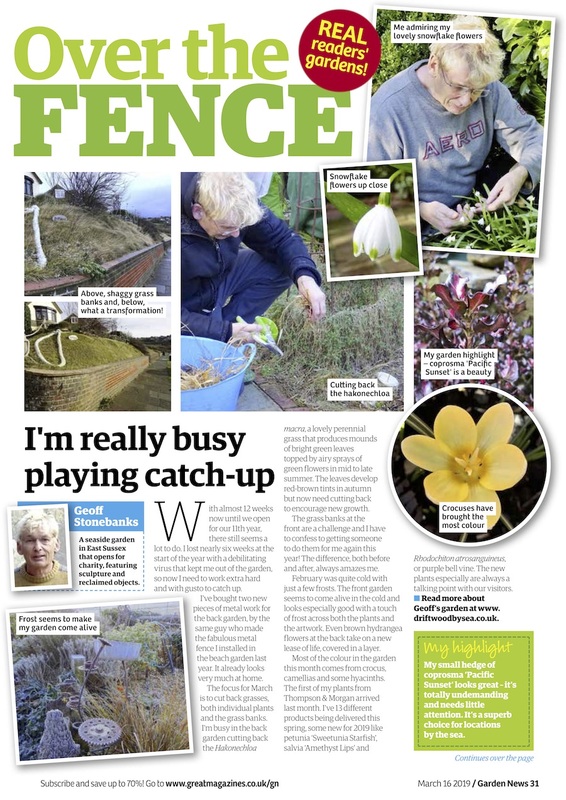 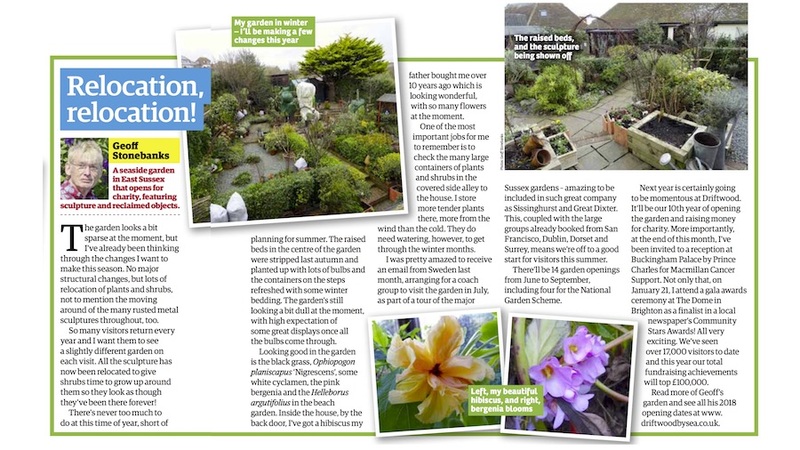 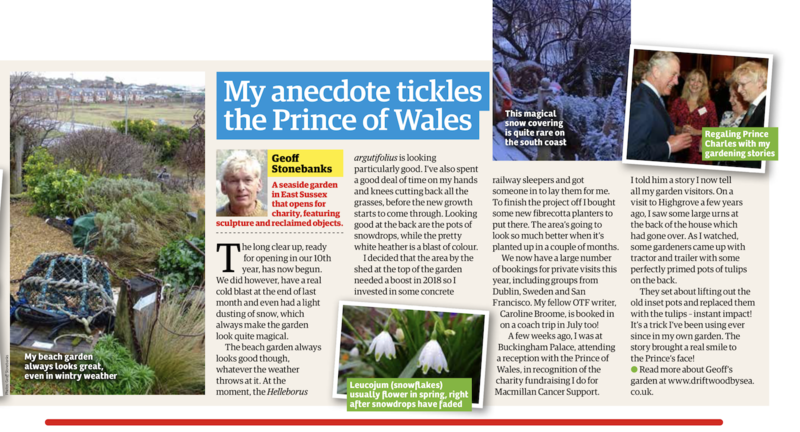 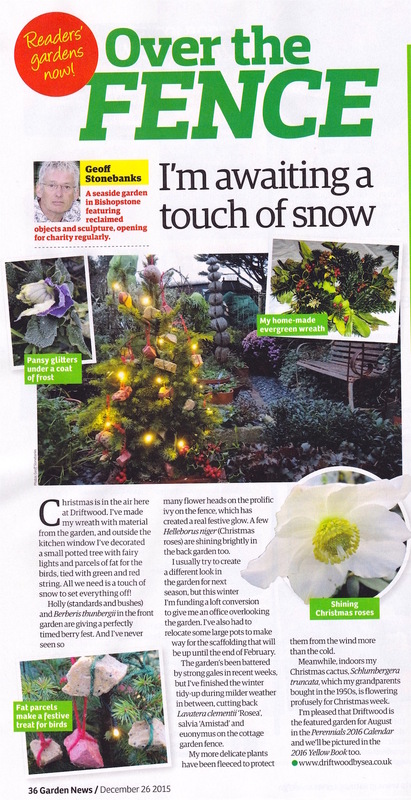 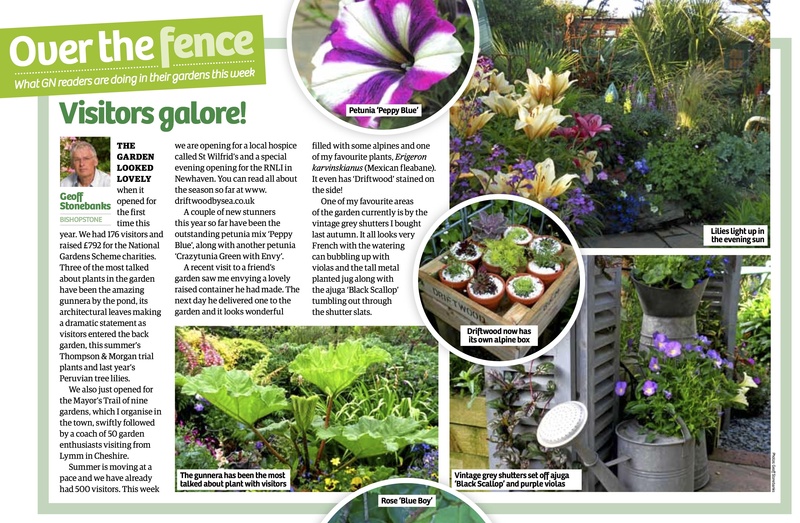 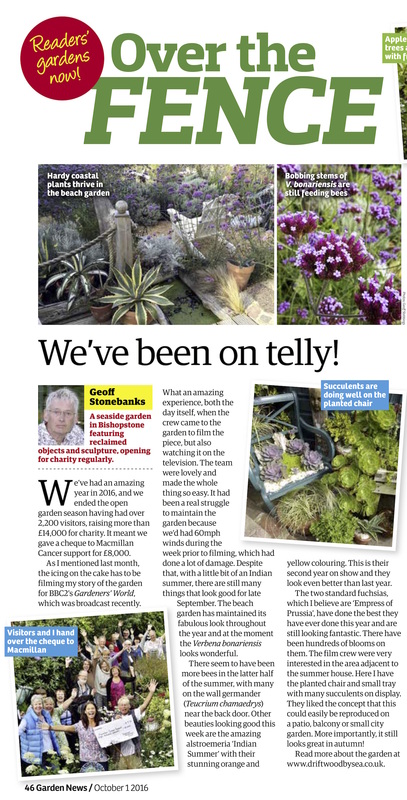 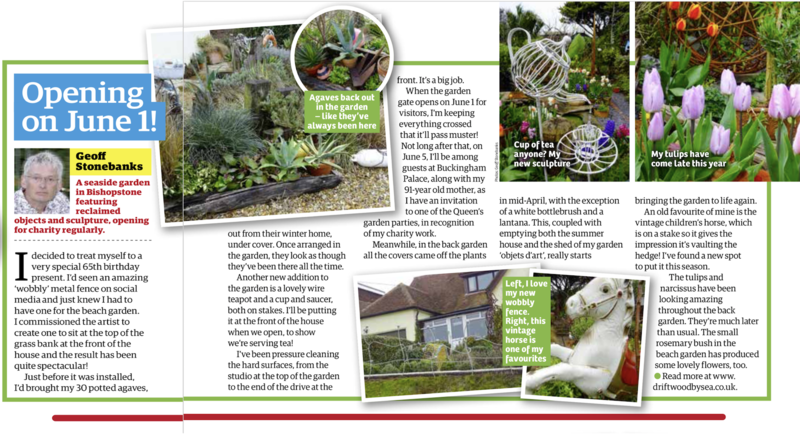 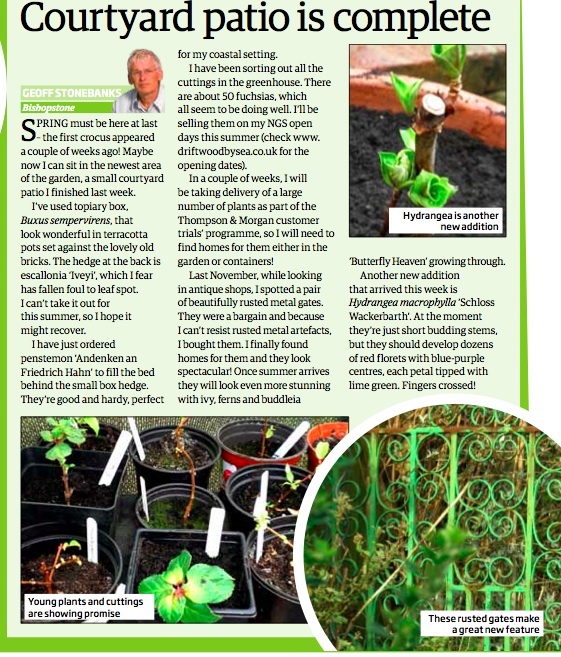 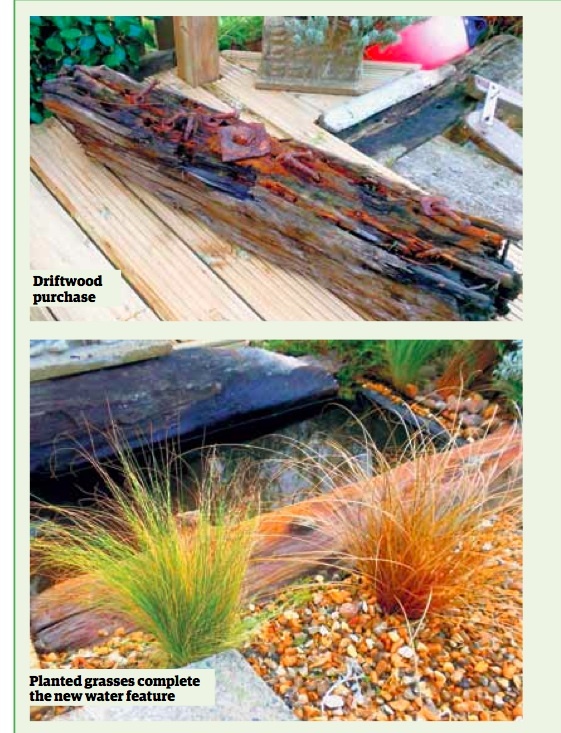 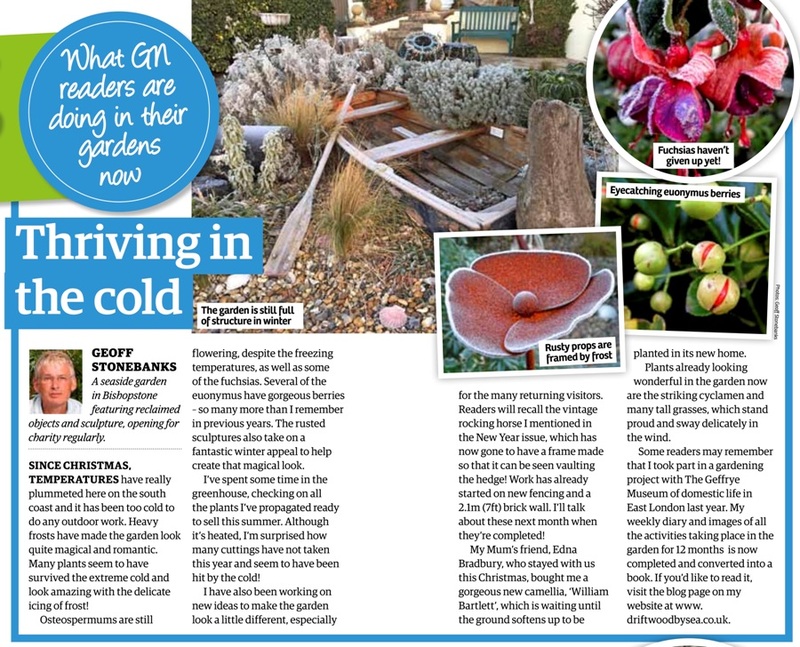 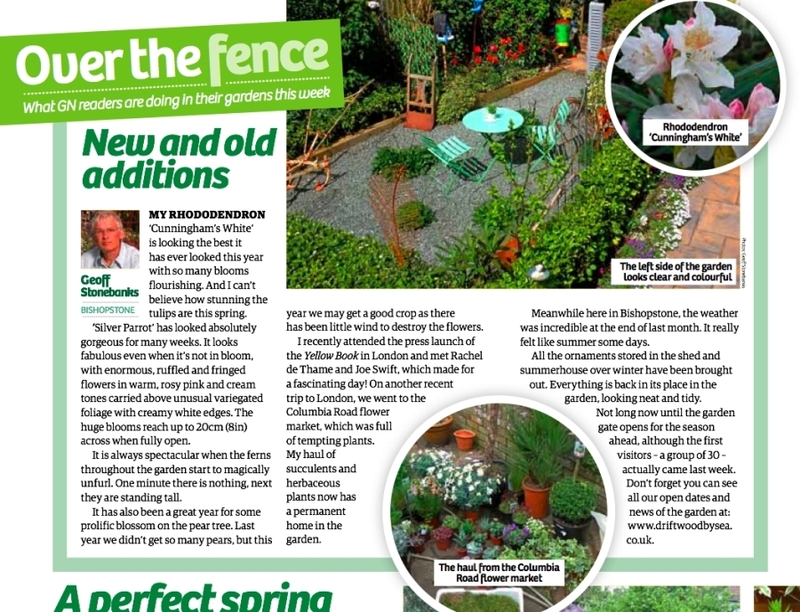 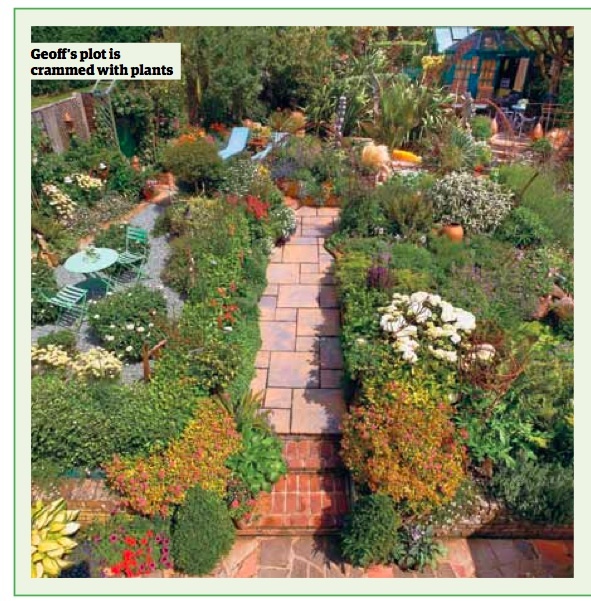 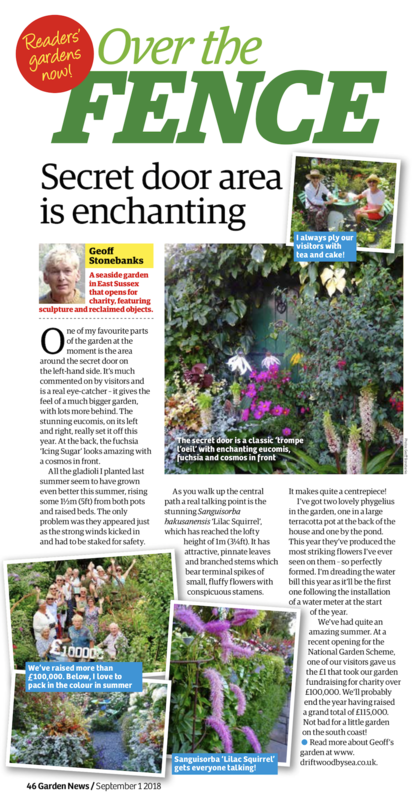 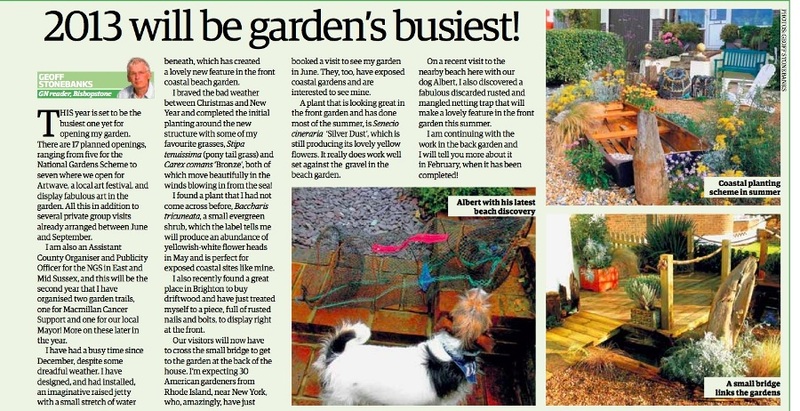 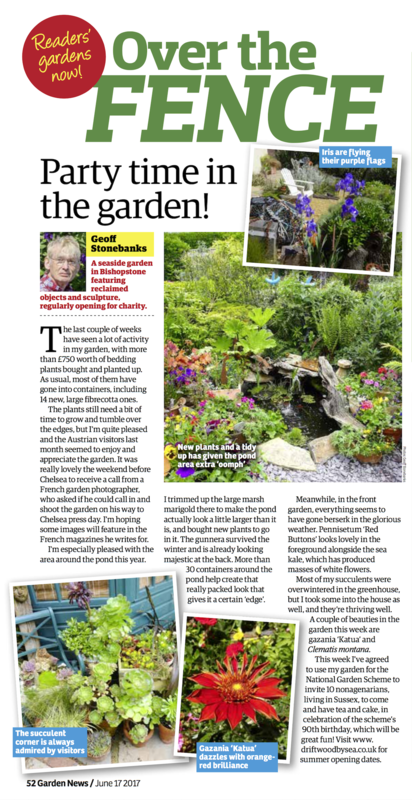 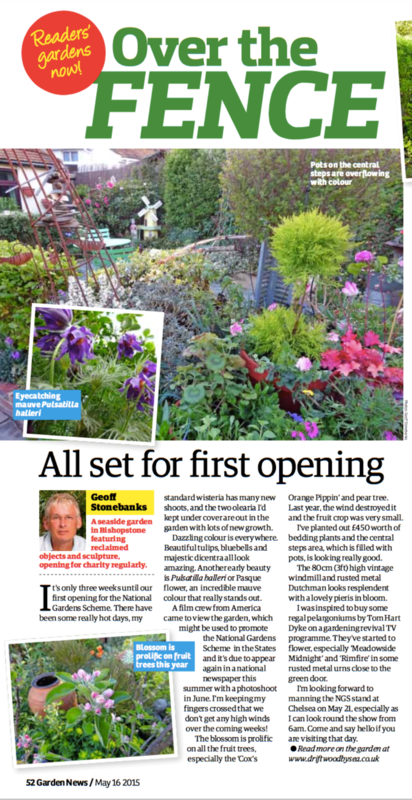 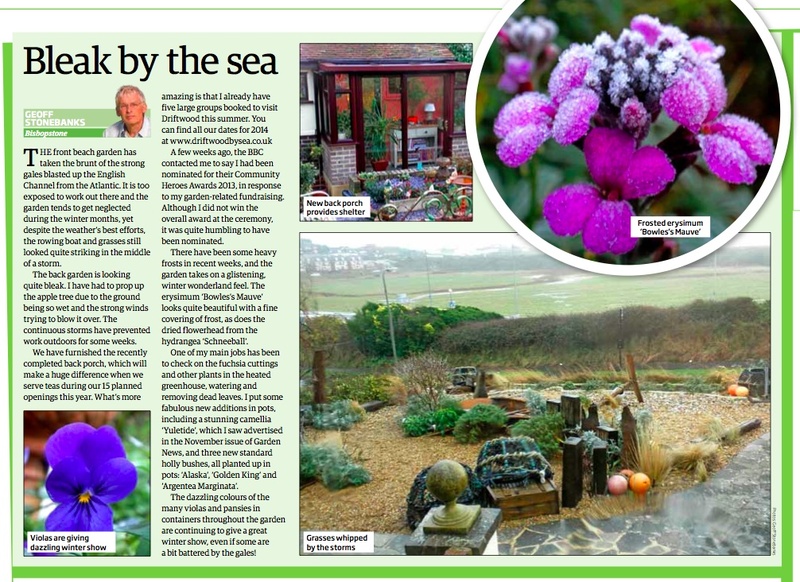 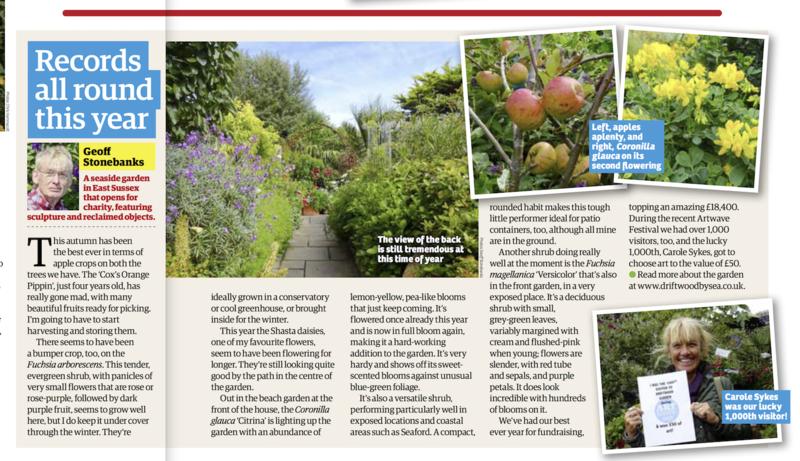 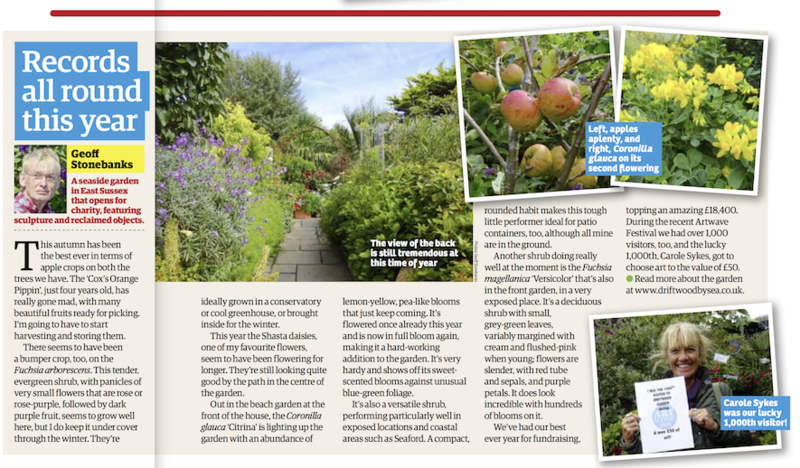 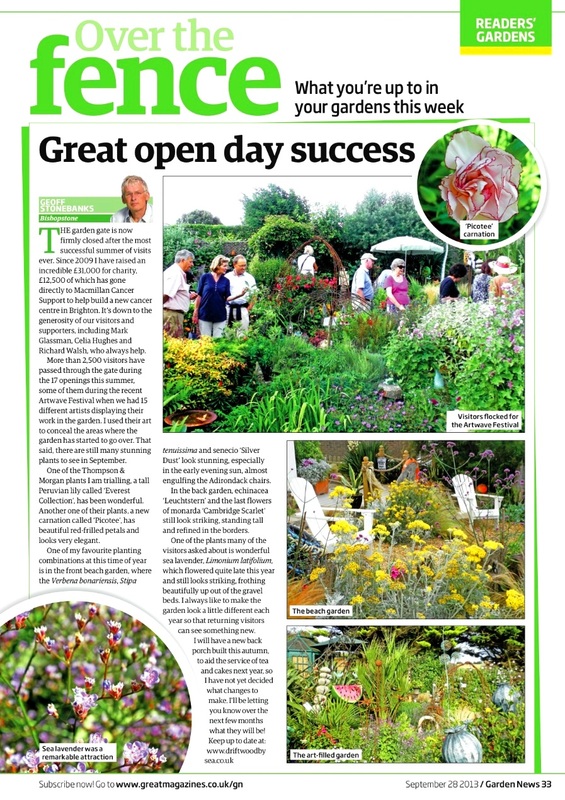 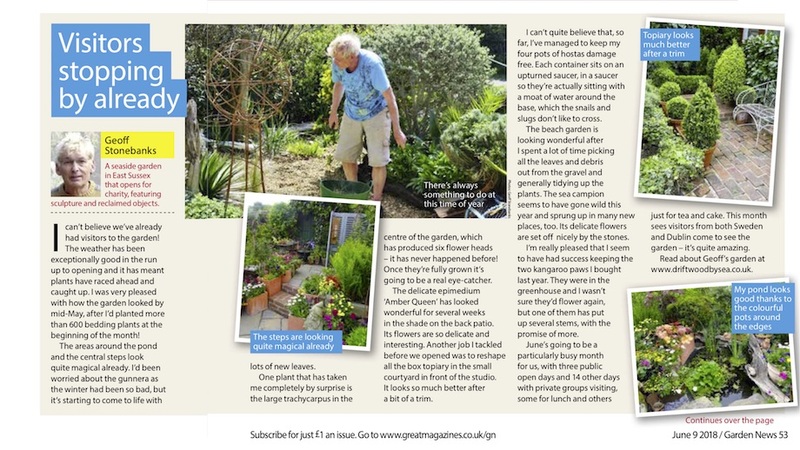 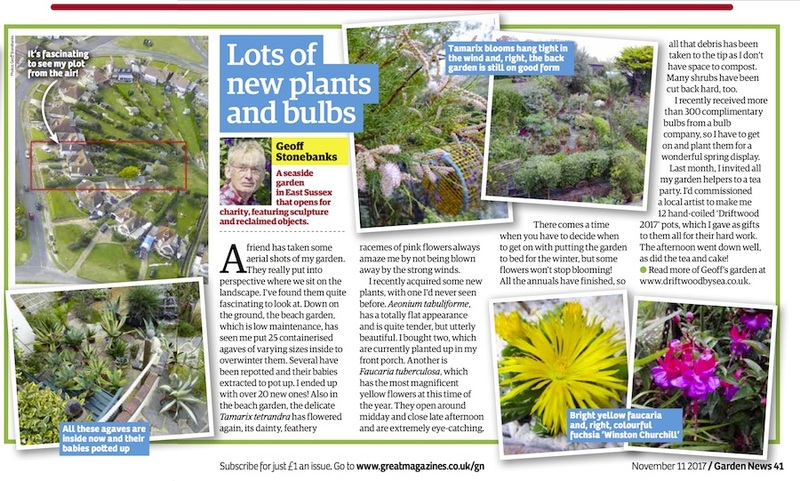 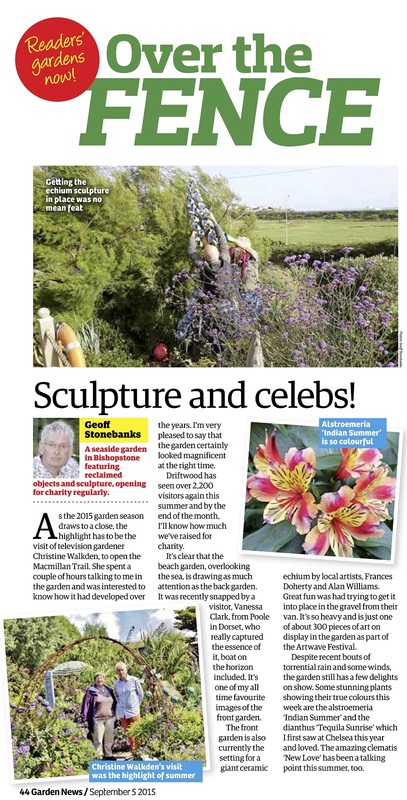 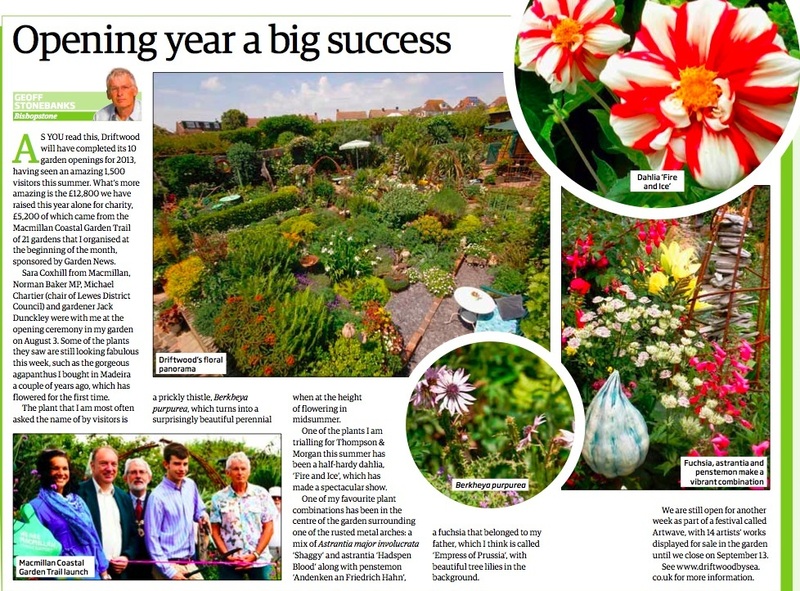 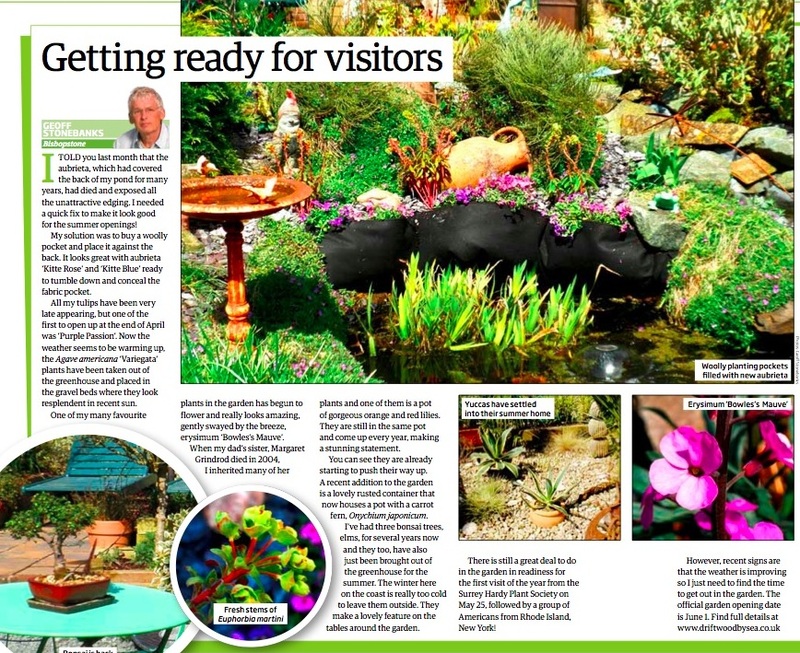 In the autumn of 2012, I was approached by the editorial team from Garden News magazine to write a regular piece about Driftwood every 3/4 weeks! 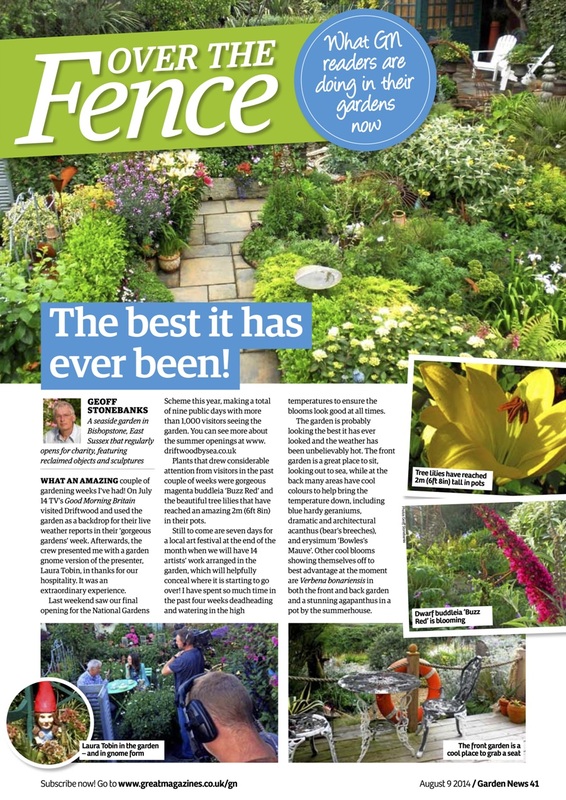 Needless to say I agreed, I am now in my 8th year of writing for them and you can read all my articles that have have appeared to date below. The next piece will feature in 4 weeks and subsequent articles will appear in the following issues during the rest of the year so make sure you get your copy, or better still why not sign up and and subscribe to the publication by post here. 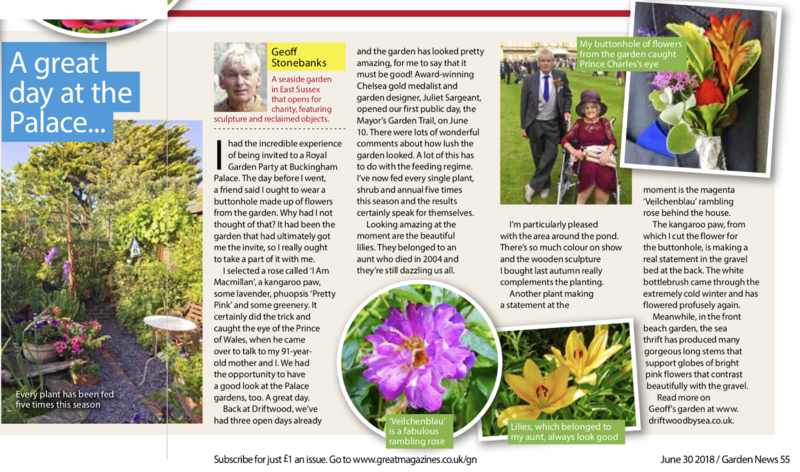 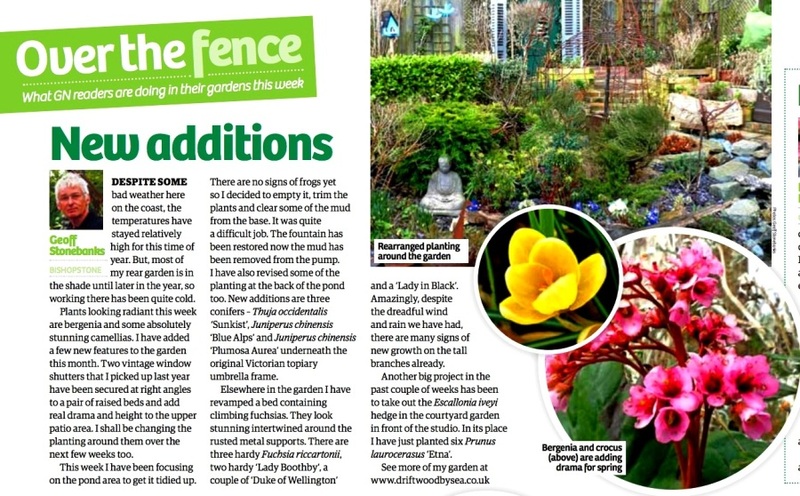 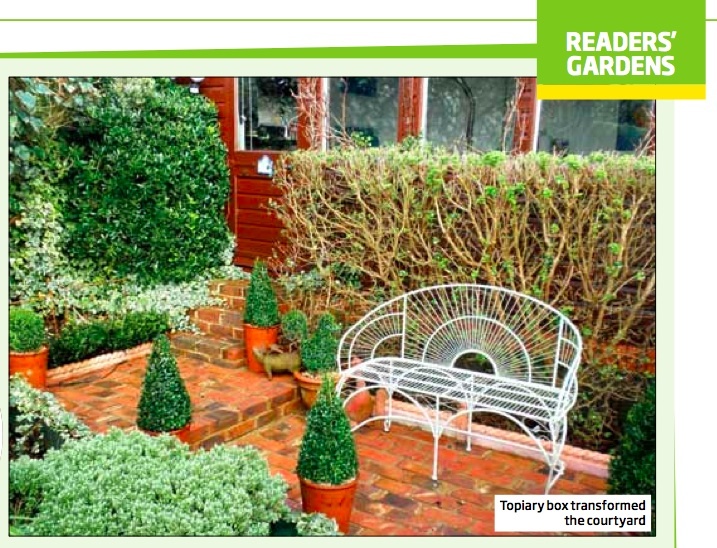 This is the 83rd piece which appeared on page 32 of the magazine, week ending 6th April 2019. 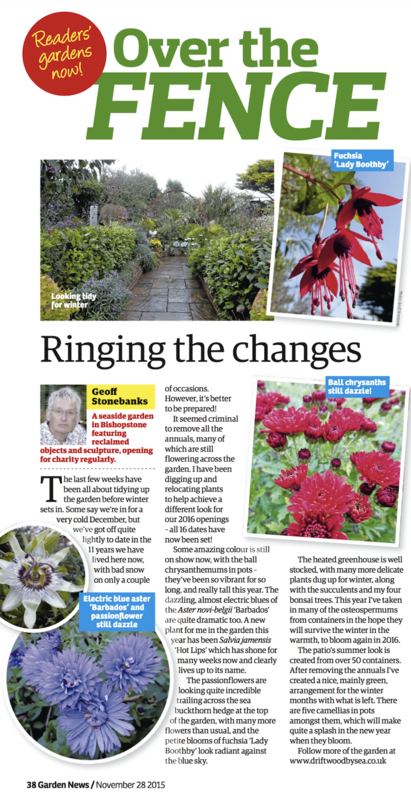 Previous articles are shown further down.